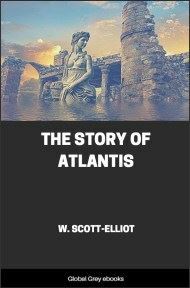 Written by Theosophist, W. Scott-Elliot, this book goes into detail about the lost city of Atlantis. The information came from C. W. Leadbeater, who said he received his information from astral clairvoyance. 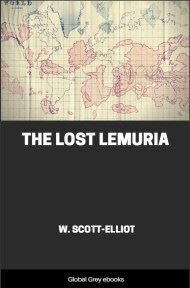 Scott-Elliot provides info on the people of Atlantis, such as their religion, the races, the different periods (including 4 maps illustrating this), money, education and much more. Further, it must be remembered that of the history of this Fifth Race we possess but a fragment--the record merely of the last family races of the Celtic sub-race, and the first family races of our own Teutonic stock. But the hundreds of thousands of years which elapsed from the time when the earliest Aryans left their home on the shores of the central Asian Sea to the time of the Greeks and Romans, bore witness to the rise and fall of innumerable civilizations. 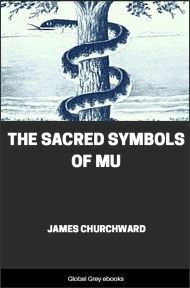 Of the 1st sub-race of our Aryan Race who inhabited India and colonized Egypt in prehistoric times we know practically nothing, and the same may be said of the Chaldean, Babylonian, and Assyrian nations who composed the 2nd sub-race--for the fragments of knowledge obtained from the recently deciphered hieroglyphs or cuneiform inscriptions on Egyptian tombs or Babylonian tablets can scarcely be said to constitute history. The Persians who belonged to the 3rd or Iranian sub-race have, it is true, left a few more traces, but of the earlier civilizations of the Celtic or 4th sub-race we have no records at all. It is only with the rise of the last family shoots of this Celtic stock, viz., the Greek and Roman peoples, that we come upon historic times. In attempting, therefore, to summarize in a few pages information about the world's progress during a period which must have occupied at least as great a stretch of years as that above referred to, it should be realized how slight a sketch this must inevitably be. A record of the world's progress during the period of the Fourth or Atlantean Race must embrace the history of many nations, and register the rise and fall of many civilizations. Catastrophes, too, on a scale such as has not yet been experienced during the life of our present Fifth Race, took place on more than one occasion during the progress of the Fourth. 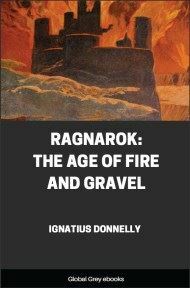 The destruction of Atlantis was accomplished by a series of catastrophes varying in character from great cataclysms in which whole territories and populations perished, to comparatively unimportant landslips such as occur on our own coasts to-day. When the destruction was once inaugurated by the first great catastrophe there was no intermission in the minor landslips which continued slowly but steadily to eat away the continent. Four of the great catastrophes stand out above the rest in magnitude. The first took place in the Miocene age, about 800,000 years ago. 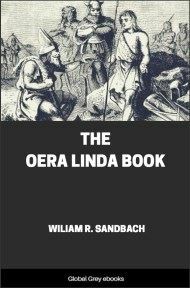 The second, which was of minor importance, occurred about 200,000 years ago. The third--about 80,000 years ago--was a very great one. 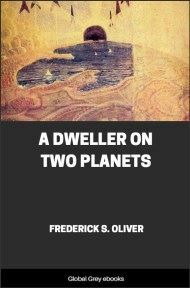 It destroyed all that remained of the Atlantean continent, with the exception of the island to which Plato gave the name of Poseidonis, which in its turn was submerged in the fourth and final great catastrophe of 9564 B.C. First, the testimony of the deep-sea surroundings. Second, the distribution of fauna and flora.